We are excited to be the only Boarding and Day Care facility in the East Memphis area that offers In-and-Outdoor Runs for our guests! 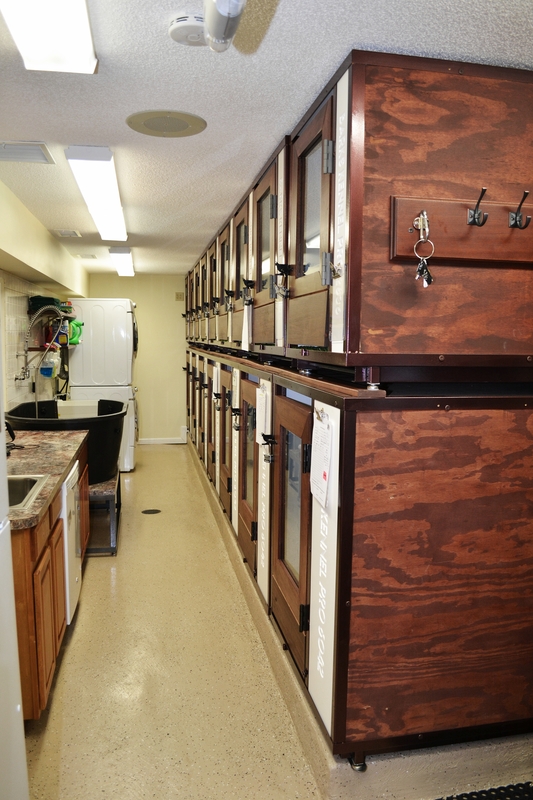 Each In-and-Outdoor kennel is equipped with a doggy door that leads to an individual yard, allowing your dog to go outside as he pleases. In case your fur-baby has a bad dream or wants to go for a midnight stroll through our backyard, our overnight staff will be here to take care of him! Our overnight staff is also wonderful for older dogs that need a little extra TLC or dogs that exhibit anxiety while away from home. 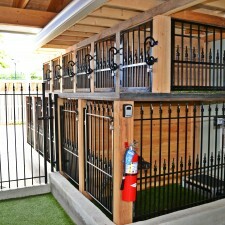 We want to make sure your pet feels right at home while staying with us at Barks and Recreation. Because Day Care is provided for all dogs in our care, our Boarding prices are all-inclusive. Each dog that stays with us will get to participate in Day Care and group activities to ensure that all of our furry friends have a fun time! If for any reason you feel like your dog should not participate in Day Care, he will be given individual playtime and taken on walks throughout the day. Thank you for giving us the opportunity to care for your pet while he is on vacation! All dogs that are Boarding with us must be checked out by 11:00 AM on his scheduled pick-up date, except Sundays when we’re open from 3:00 PM to 5:00 PM. If you would like to pick up your dog after 11:00 AM, that’s no problem! We’ll place him in his play group and you will be charged for one day of Day Care with us. Click Here for paperwork that should be filled out prior to arrival. Holiday Surcharge: There are no surcharges or price changes for holiday boarding, but our cancellation policy is strictly enforced for holiday reservations. *Holidays Include: New Year’s Day, Memorial Day, Independence Day, Labor Day, Thanksgiving Day, Christmas Eve, and Christmas Day. Reservations are required for all holidays. Want to make a Day Care or Boarding reservation? Email us your reservation requests at info@barksdaycare.com. *Please be aware that reservations made via email are requests only until Barks and Recreation has confirmed your reservation with you. If we have not responded to your email request within 1 hour of it being sent to us (during normal business hours), please call us at 901-509-0909 to confirm your appointment! Every Indoor / Outdoor Kennel has it's own doggie-door that let's our guests go in and out as they please!